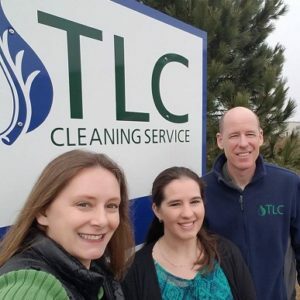 TLC Cleaning Service, Inc. was founded in 1984 by Coralie Recob in Williams Bay, WI. She had a passion for people and for cleaning. This came through in the standards she set and in the relationships she built, both with staff and clients. The business grew almost solely through word of mouth referrals and by taking care of homes like they were her own. In 2014, Coralie retired and sold the business to Mike Butler, a local business owner. Mike brings the same passion for excellence and commitment to service that have been the foundation of TLC’s growth. Coralie’s daughter and niece still run the day-to-day operations and carry on the same values that Coralie instilled. Trustworthy We recognize that it requires great trust to allow others into your home. We take that trust very seriously and strive to protect it. The most important safeguard of trust is our people, who have demonstrated their trustworthiness over a period of years. We take practical steps to protect your property, such as maintaining keys with multiple physical security measures. Keys are signed out by our staff and returned to the office. Keys are only identified by a random number, not a name or address. Bonded and Insured We carry the liability for having us in your home to clean and care for it. Our insurance not only covers our employees, but any sub-contractors we may bring to perform home repairs. Locally Owned and Operated We are part of the community. We live, work, and our kids attend school here. We support charitable causes in our community, such as the Walworth County Food Bank, Agape House, AVERYday Ministries, and many others. A Passion for Excellence It is in our DNA. We cannot tolerate a job not done to our (obsessive) standards. We just can’t. It has to be done right. If we do not get it right, we do what it takes to make it right. Long-Tenured Staff Our year-round cleaning crews are full-time and have been with us for several years. They are experienced and trustworthy. Flexible and Responsive Our people come to work, ready to work. But if an emergency arises, we have the resources and the commitment to adjust to get the job done.